iOS is an amazing upgrade from iOS 6. It obviously sports a completely redesigned User Interface (UI), but its beauty is more than skin deep. It also packs a punch with a slew of new features. While these new features are, quite honestly, amazingly useful, they can result in a battery that drains quicker than you're used to. AirDrop allows you to very easily transfer files from one device to another using a combination of Bluetooth and an ad-hoc wireless networking. It was first introduced to us on the desktop (part of OS X Mountain Lion). I use the feature all the time, and am glad to see that it made its way to iOS 7. It does, however, use battery, even when you aren't actively using it. Recommendation: if you aren't using AirDrop, disable it. You can always enable it as you need it. To disable AirDrop, swipe up from the bottom of the device, tap on "AirDrop" and choose "Off". To re-enable AirDrop, go through the same motions, but choose "Everyone" or "Contacts Only" instead. As a bonus tip, if you aren't using Bluetooth, you probably want to disable that as well. This can also be done in the Control Center (by swiping up from the bottom of the device). Most apps today (especially social apps like Twitter, Find My Friends, etc) have location services built-in. It only makes sense... it will undoubtedly create a better user experience for you. As great as this feature is, those location services use battery because they are constantly trying to find your location. Recommendation: disable any location services for apps you know you don't need. I don't recommend disabling ALL of them, but if you know you aren't using it for the Delta app, as an example, disable it. You can disable location services for certain apps by going to Settings > Privacy > Location Services, then swipe the appropriate apps on or off, depending on your preference. One of the new eye-catching features of iOS 7 is the 3D-like Home Screen effects. As you tilt the device left/right and up/down, the app icons and app folders stand still, while the background image moves slightly. This is called a parallax effect. While this creates a cool effect, it doesn't add any real value to the iPhone or iPad experience and chew through power as the processor works hard to make those graphics look good. Recommendation: disable this feature. In addition to the parallax effect on static images set as wallpaper, iOS 7 now offers dynamic wallpapers (i.e. : floating bubbles). As with the parallax effect with static images, this is appealing to the eye, but drains the battery very quickly. By default, iOS 7 will not automatically turn on a dynamic wallpaper, so you have to go searching it out. Recommendation: play with dynamic wallpapers to get a feel for them, but for the most part, avoid using them long-term. To choose a dynamic wallpaper, go to Settings > Wallpapers & Brightness then choose a wallpaper. Another of the really nice improvements in iOS 7 is background app refresh. The system allows certain apps to refresh while you aren't using them. This is a great feature because when you do want to use that app again, it's already refreshed for you. This feature, however, does require more battery to power those background processes. Recommendation: Disable the background app refresh feature. To disable this feature, go to Settings > General > Background App Refresh. From here, you can disable background refresh for ALL apps, or select apps. 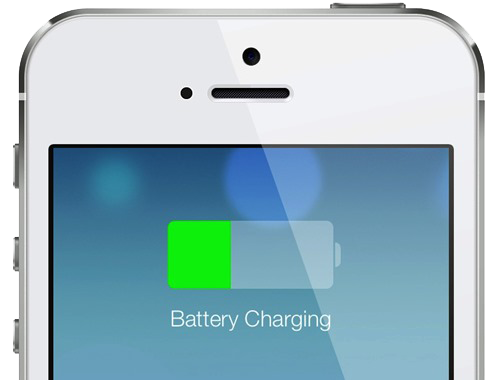 Have you found great ways to save power on your iPhone or iPad with iOS 7? Share your tips with everyone using the comments section below. Posted on September 19, 2013 by Kevin Allgaier and filed under iOS, How To, iPad, iPhone, Opinion.